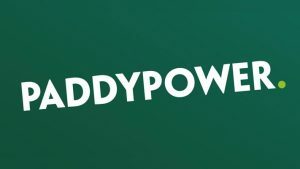 Irish bookmaker Paddy Power has hit the top spot in the social media rankings among bookmakers in a survey conducted by the leading tipster site, bettingexpert.com. The site assessed 26 of the world’s top bookmakers based on data collected between Feb. 21 and March 9, 2018. The bookmakers assessed were (in alphabetical order): 10bet.com; 888sport.com; Bet365.com; Bet-at-home.com; BetBright.com; BetFair.com; BetFred.com; BetSafe.com; BetWay.com; BetVictor.com; BoyleSports.com; ComeOn.com; Coral.com; EnergyBet.com; GentingBet.com; LadBrokes.com; LeoVegas.com; MarathonBet.com; MatchBook.com; NetBet.com; PaddyPower.com; SkyBet.com; SportingBet.com; StanJames.com.uk; UniBet.com; WilliamHill.com; and WinnerSports.com.uk. With their headquarters based in North America, Europe, Asia, and Australia, these are among the top bookmakers in the world. They offer betting services in fields as diverse as in-play, horse racing, football, basketball, tennis, cricket, golf, greyhound racing, snooker, darts, boxing, rugby union, rugby league, and virtual sports. Data from the following social media platforms were collected and analyzed: Facebook, Twitter, YouTube, and Instagram. 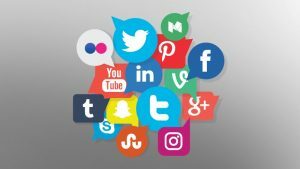 These are the most widely used social media platforms and every bookmaker on the list was found to have some form of presence on each. The categories that were considered included the number of followers in each platform, as well as the number of Tweets, the number of YouTube videos, the number of views per YouTube video, and the most watched YouTube video. Paddy Power was among the Top Five in every social media category assessed except one. It led the way in three categories and was in the second or third position in two categories. Facebook followers: Bet365 took the lead, with 1,553,663 followers on Facebook. Hot on its heels were Paddy Power, with 1,551,324 followers; Unibet, with 811,939 followers; Betfair, with 649,176 followers; and William Hill, with 557,602 followers. Twitter followers: Paddy Power took the top position, with 644,207 followers. Bet365 came in a distant second, with 378,226 followers. It was followed by Sky Bet, with 351,939 followers; Coral, with 347,824 followers; and William Hill, with 199,050 followers. Paddy Power has the oldest Twitter account (among these five bookmakers), which was created in April 2008. YouTube followers: Bet Safe, a Nordic brand, led the way on YouTube, with 29,131,133 followers. It was followed by Bet Fair, with 22,192,528 followers; Paddy Power, with 17,918,313 followers; 888sport, with 13,168,591 followers; and Bet Fred, with 10,948,124 followers. The number of views per YouTube video: Paddy Power was far ahead of both Bet Safe and Bet Fair in the number of views per videos. Paddy Power’s 278 videos attracted 64,000 views per video while Bet Safe’s 1,031 videos and Bet Fair’s 816 videos got only 28,000 and 27,000 views per video respectively. Most popular YouTube video: Betfair took the top spot for the most popular YouTube video, with its “Liverpool FC — A Free Kick MasterClass,” which has received nearly 5 million views so far. In second place is BetSafe’s “Street F1 with Team Betsafe,” with nearly 3.5 million views so far. The third position is occupied by 888sport’s “888sport Treble: The Odds Promotion,” with just over 2.7 million views so far. The fourth position goes to BetFred for its “Bet £10 to get £30 Free Promotion,” which has received over 2.5 million views so far. In the fifth position is Bet365’s “Bet365 13/14 Sportsbook|U.K. Feature Generic 30,” with over 1.6 million views. Paddy Power didn’t have a video in the Top 5. Instagram: Paddy Power was No. 1 on Instagram, with nearly 100,000 followers. Betsafe came in a distant second, with 61,000 followers, and Unibet was a distant third, with 23,000 followers. Overall, Paddy Power (www.paddypower.com) was declared the winner in the social media rankings, with Bet365 (www.bet365.com) and Bet Fair (www.betfair.com) coming in second and third. Paddy Power was founded in Dublin, Ireland, in 1988. The company offers its betting services through licensed betting shops in the United Kingdom and Ireland. It also operates the largest telephone betting service in Ireland. On the Internet, the company offers services, such as online poker, sports betting, online bingo, online games, and online casino.